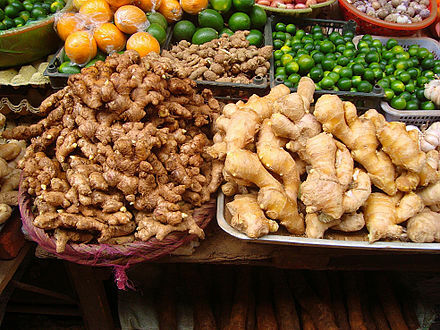 Reasons To Fall In Love With Ginger, Medicine In Many Diseases. Ginger is a very healthy and beneficial food item. It is mainly found in temperate and tropical climates and all over the world and is grown as a bulbous vegetable. The same name ‘Ginger’ calls its dried form. In Ayurveda, it is known as a medicine having numerous benefits. The prominent property is that it is anti-inflammatory. It helps in the digestion process, fights the gas produced in the stomach, especially in the intestine. The gas will disappear if you peel ginger desiccate and mix with the juice of lemon and some raisins and take a spoon with each meal. 1) Stomach ache and/or upset. At time’s carelessness while eating creeps in, resulting in stomach pain. Under such circumstances, taking a teaspoon of both ginger and mint leaves’ extract with a pinch of rock salt will cure the ache. 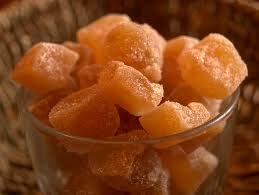 Ginger is very effective ingredient for treating the upset stomach or indigestion problems. You come to know how much good the ginger does to cure the upset stomach with the below-mentioned properties. Ginger contains anti-inflammatory properties that help to increase the digestive juices and also neutralizes the stomach (acids) to give relief from the upset stomach and stomach pain. It has strong anti-oxidants called gingerols and shogaols (Chemicals) that decrease the free radicals production and also their damage to the body. It also helps to relax the intestinal tract and that gives relief from the gas and pain. It helps the food flow smoothly through the digestive tract by allowing the body to absorb the nutrients in the food. It is a great carminative that contributes to eliminating the extra gas from the intestinal tract and reduces the risk of having any digestive, intestinal problems. It stimulates the production of saliva, bile, gastric juices, etc. so that it aids in better digestion and prevent gas. It relaxes muscles, relieves cramping that lessens the chance of backed up, fermenting food in the digestive system. (Reduces bloating and flatulence) It improves blood circulation by boosting the blood flow and reduces the inflammation. Here are the traditional methods that help to treat the upset stomach. You can try these methods to get rid of the problem. Take 2 teaspoons of ginger juice, a teaspoon of lemon juice and a pinch of table salt or black salt. Mix all the ingredients well and consume this with or without water mixed whichever is comfortable to you. Continue sipping it whenever you suffer from the upset stomach. Take a piece of fresh ginger and cut it into slices. Sprinkle some salt over it so that salt has to be on every piece. Chew this ginger slices completely as often as possible. Continue this throughout the day to prevent the upset stomach. Or you can add ginger as a spice in your recipes for relief from the upset stomach. This process also helps to cure stomach pain. Mix in one gram of roasted cumin seed powder, a little of ginger extract( juice) along with half a pinch of rock salt. Take the mixture after each meal, this will ensure and increase the appetite. Have twice or thrice a day pulverized ginger with two grams of crushed ginger, plus four leaves of basil, 4 to 5 black pepper all mixed and boiled in tea. The mixture will soon cure the common cold, and also if having any slight fever. For wheezing in throat and cough take 4-5 black pepper in ginger extract in honey, the throat is cleared, and cough disappears. If the vomiting goes on due to cholera, it will be wise to take every hour one gram of ginger extract juice mixed with one gram juice of onion added to three gram of honey. The vomiting will stop, and cholera gets cured fast. Take 500 gram of Ginger juice and mix with 250 grams of mustard oil, boil the mixture till the ginger juice dries. The resultant mustard oil is ready for application to the body part suffering from arthritis. The relief is sure to follow. If there is cough mucus gathered around the chest and you get hiccups every very often, chew ginger pieces with rock sugar. It will slowly stop hiccup and cough.